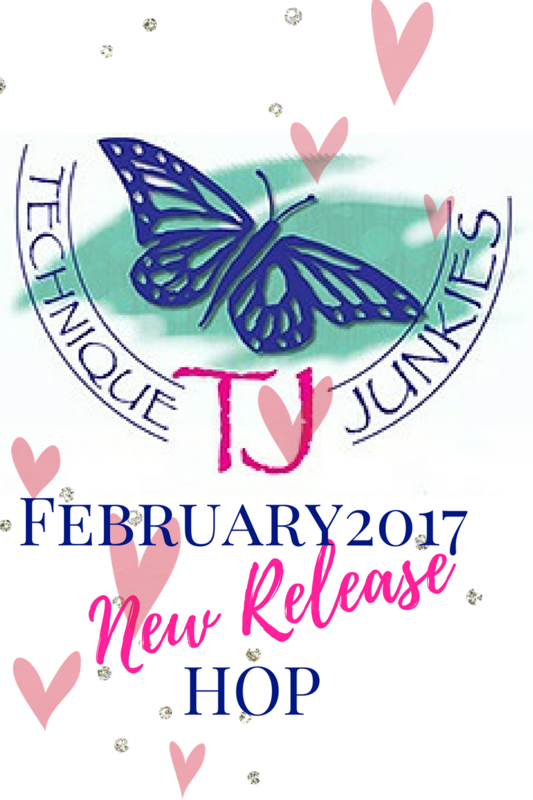 I am so excited to show you some of the new February Releases for Technique Junkies. There are fifteen new stamps, and I'm going to highlight seven of them (plus an oldie). 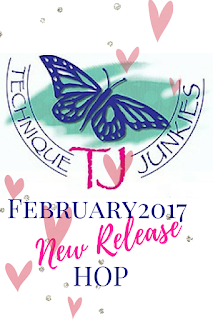 All the new releases can be seen H E R E and will be discounted 15% through February 8, 2017. No need for a code. 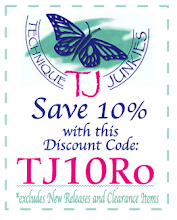 The discount will be reflected at checkout. If you have arrived here from The Crafty Nurse Blog, you are on the right track. If not, you may want to start at the beginning (Technique Junkies) so you don't miss any cool stuff! Let's get going! Assembly: Cut purple cardstock and attach to card front. Stamp and emboss the silver panel and attach to card. On Vellum, stamp and emboss the image. Die cut to oval shape. Die cut black cardstock using two oval dies to create a frame. Versamark frame and add Lavender Mica Powder. Attach vellum panel to back of frame, and attach that to the front of the card. Add rhinestones to image and frame. Add computer-journaled sentiment to piece of ribbon and add to card front. Assembly: Create card base from Kraft cardstock. Trim vellum, then stamp and emboss the background. Attach that to the card base and line with vinyl border. Attach the sentiment diecut to some blue cardstock and attach that to the card front using foam tape. Assembly: Create card base from Kraft cardstock. On white cardstock, stamp and emboss the image. Color with colored pencils and add Gamsol using a cotton swab to smooth out the pencil lines and blend the colors. Fussy-cut the image and attach to a trimmed piece of patterned cardstock. Add a tan mat and attach that to the front of the card using foam tape. Stamp part of the sentiment on a tan piece of cardstock, trim and attach that to the front of the card with foam tape. On the inside of the card, stamp the rest of the sentiment. Add gold dots and vinyl border to front of card. Assembly: Create card base from white cardstock and add a black mat t the ront. Mat the sentiment diecut to black cardstock and attach that to the front of the card. Add the airplane diecut to the front using foam tape. Attach a couple of black dots for embellishments. 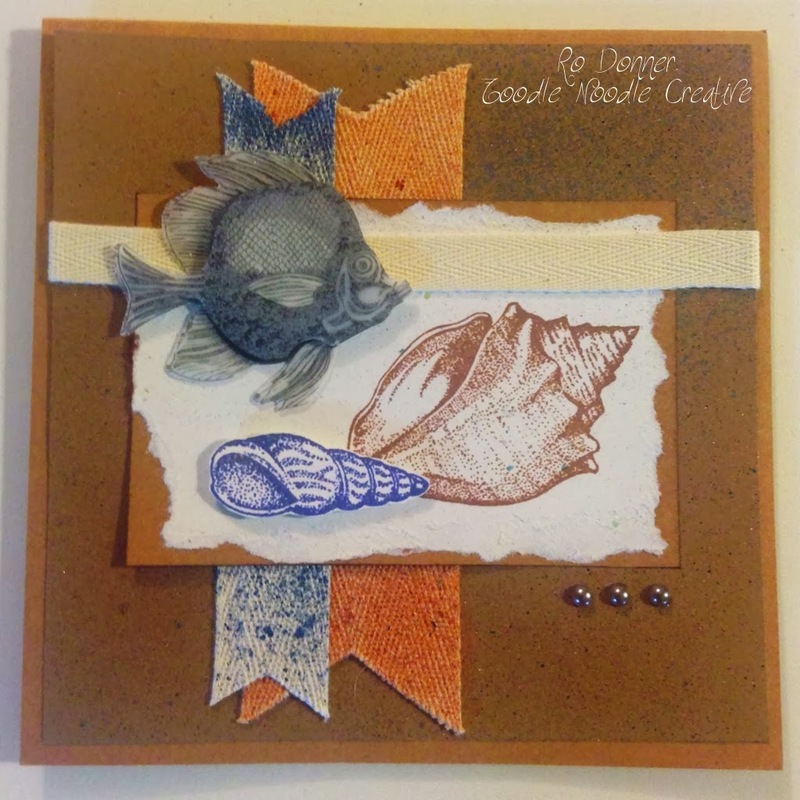 Assembly: Create card base using Kraft cardstock. Stamp and emboss the sentiment. Punch holes at the top and bottom of each rope section. Tie a knot in a piece of twine and thread through the holes. Glue the knot down and tape the twine on the reverse side. Add patterned paper to card base and attach the sentiment piece using foam tape. Add the fiber ribbon and wood beads.